Hosting a dinner party? Why shop, cook and wash pots and pans. 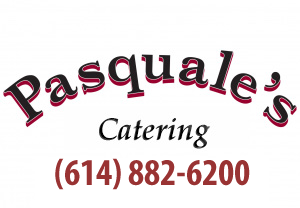 Pasquale’s Catering will do the work and leave you free to enjoy the evening. Invite as many friends and family members as you like to your event. Don’t worry about what to cook. Give Pasquale’s a call and have an authentic, delicious entree delivered for 4 people or 40. Mix up a salad yourself or have Pasquale’s do that too. Make a special dessert or have it added to your order. Your guests will love you for the wonderful meal and you’ll be able to enjoy their company instead of stressing about whether or not your recipe will turn out right. 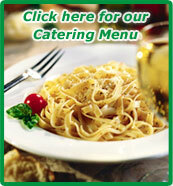 Pasquale’s has twenty years of experience with catering, producing phenomenal food and delivering on time every time. Quality time with friends and family and quality food – a priceless evening at minimal expense. We have more than 20 years of experience in catering all kinds of events. Planning a corporate event or a wedding reception? Celebrating a special birthday or dinner party? Call to get more information on what Pasquale’s can do for your next event! Finding the perfect place for your special event can be tricky. Birthday party? Graduation party? Wedding reception? Family reunion? Westerville offers a uniquely wonderful venue for such occasions. 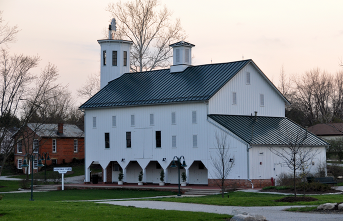 The Everall Barn is a renovated 19th century barn and is part of the Westerville Parks and Recreation Department. The year-round facility is on the grounds of the 52 acre Heritage Park. Pasquale’s caters there regularly. The beautifully renovated building is on the National Registry of Historical Places. Located at 60 N. Cleveland Ave, it is convenient and houses events from corporate meetings to family functions. The delightful surroundings offer an atmosphere that is both casual and striking. Cater you special event here and leave with memories and comments galore. Go to the Westerville City web site for more information. Hosting a dinner party in Columbus, Central Ohio or near Westerville? Why shop, cook and wash pots and pans. Pasquale’s catering will do the work and leave you free to enjoy the evening. Go ahead and invite as many friends or relatives as you like to your home. Don’t worry about what to cook. Give Pasquale’s a call and have an authentic, delicious entree delivered for 4 people or 40. Mix up a salad yourself or have Pasquale’s do that too. Make a special dessert or have it added to your order. Your guests will love you for the wonderful meal and you will be able to enjoy their company instead of stressing about whether or not your recipe will tum out right. Pasquale’s has over twenty years of experience, producing phenomenal food and delivering on time every time. 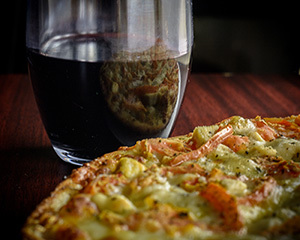 Quality time with friends and family and quality food – a priceless evening at minimal expense. Businesses in and around Westerville rave about the delicious breakfast pizza concoction Ala Pasquale’s. Companies like Macy’s use this delicious breakfast pie to reward associates for meeting sales goals and for taking part in morning planning meetings. Bagels and doughnuts pale in comparison to the tasty combination or eggs, bacon, mushroom, sausage and peppers on a pizza pie crust. The Breakfast Pizza is a great way to make a huge impression at any morning/early afternoon gathering. It is perfect for a baby or bridal shower brunch also. This unique menu item will make your event memorable and enjoyable. It is affordable and delivered to your site – when you need it, where you need it. Count on Pasquale’s to get your guests attention and approval. In order to help you decide, Check out our 10 questions to ask your caterer. Here are some questions to help you choose the right caterer. Make sure your event is successful and stress-free. Do you have a list of references and past clients? Who provides plates, napkins, glassware, tablecloths, silverware and service ware? Who does the serving and what are the serving costs? What do I need to finalize the count and other details? What if I have a couple of extra people show up? Are there any other charges that are not included in the final price? What is your delivery area and what is the delivery charge? Do you have banquet facilities or list of places in the are for banquets and parties?